Degreeworks - New web-based tool helps students and advisors plot a course towards graduation. 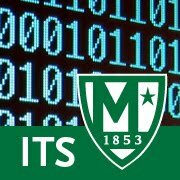 Earlier today, Manhattan College announced the launch of DegreeWorks, a new web-based tool to help students better navigate curriculum requirements and progress towards degree completion. Completed and in-progress classes are shown along with the remaining requirements to satisfy the degree that you are working towards. In addition, advisors and students can use the “what if” feature to check what might be needed to add a minor or change degrees.